Insights to Behavior strives to provide the best service possible with every contact. We operate on trust achieved through communication and effective solutions. We’re passionate about our product and behavior management solutions. We’re always happy to help you find the answers you need. Partner with us. 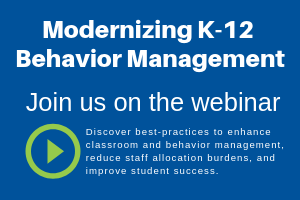 Let’s take the journey to effective behavior solutions together!